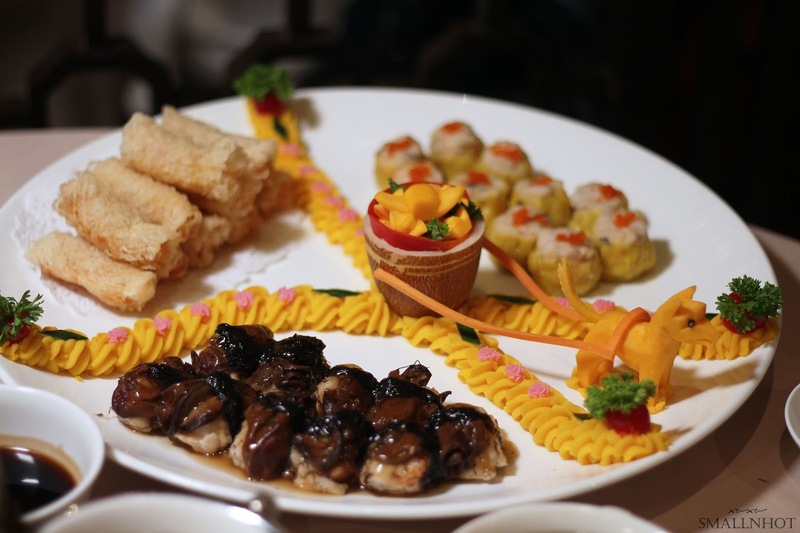 Three menus available for selection, featuring dishes such as the Deep-Fried Chinese Waxed Meat Roll and Steamed Oyster with Sea Moss from the Dim Sum selection as well as Double-Boiled Chicken Soup with Abalone and Mushroom, Chicken Simmered in Bouillon, Roasted Duck, Deep-Fried Glutinous Rice with Yam and Stir-Fried Prawns with Haw Sauce. 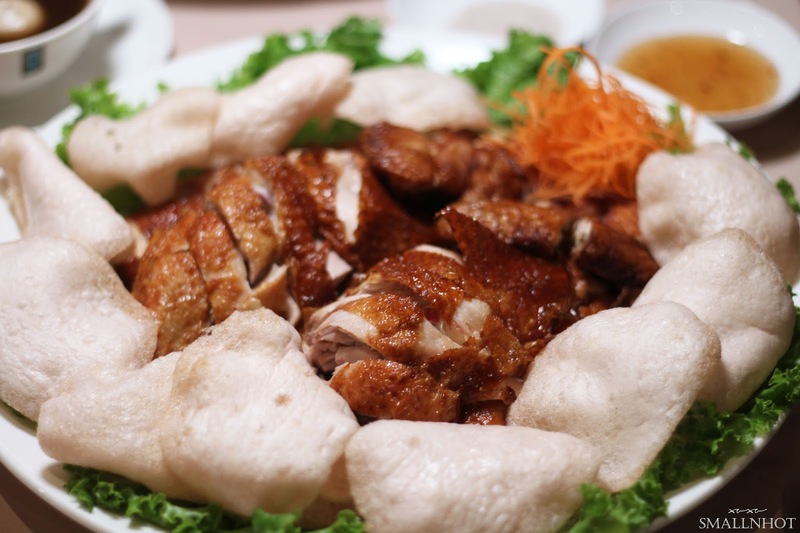 Lunch set menus are priced from MYR 1,388 nett per table of 10 persons. The dinner menu includes Braised Soup with Shredded Superior Fish Maw, Bird's Nest and Minced Chicken, Double-Boiled Abalone Soup with Chicken, Sea Cucumber and Dried Scallop, Steamed Dragon Tiger Grouper with Cordyceps Flower, Deep Fried Prawns with Salt and Pepper, Braised Pork Knuckle with Dried Oysters and Sea Moss and Barbecued Crispy Suckling Pig. 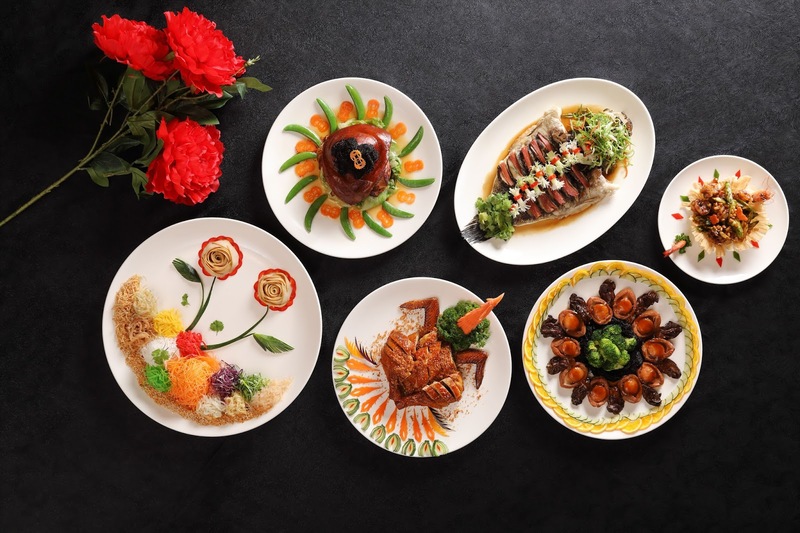 Lastly, complete the meal on a sweet note with the delectable selection of desserts such as Fried Nian Gao with Deep-Fried Sesame Balls, Double-Boiled Red Bean Cream with Glutinous Rice Balls and Double-Boiled Glutinous Rice Balls in Almond Cream. 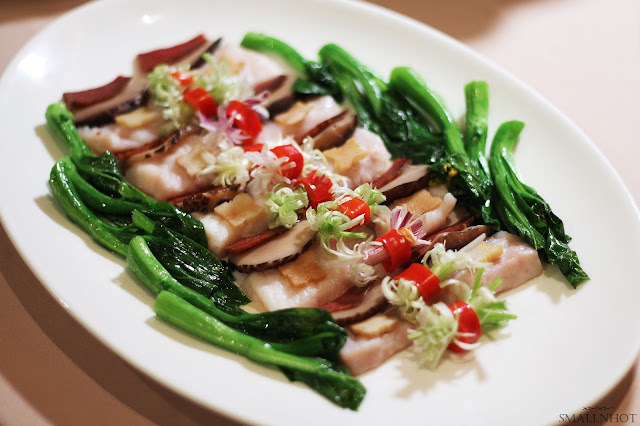 Dinner menus are from MYR 1,888 nett per table of 10 persons. 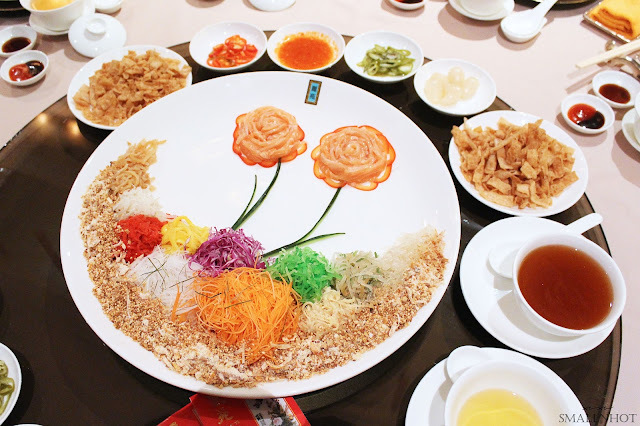 And of course, in conjunction with the Lunar New Year, Li Yen also has the Prosperity Yee Sang ! Guests will have an option to include salmon, tuna or abalone to the Yee Sang to add a ritzy twist to the traditional festive toss.